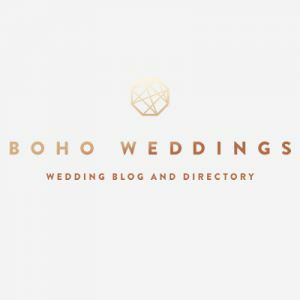 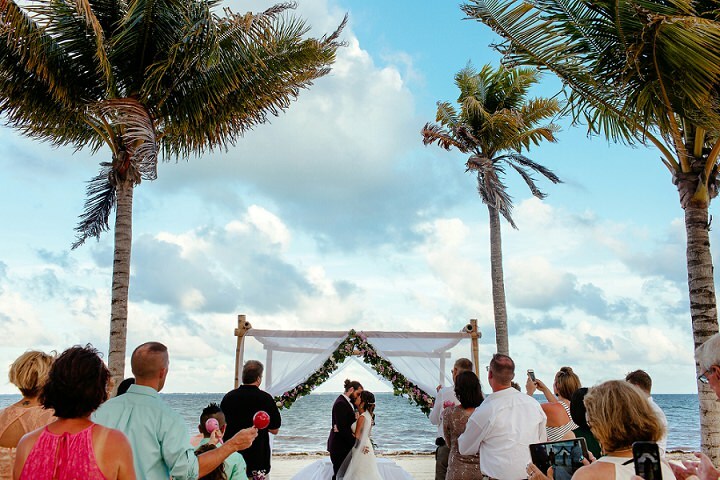 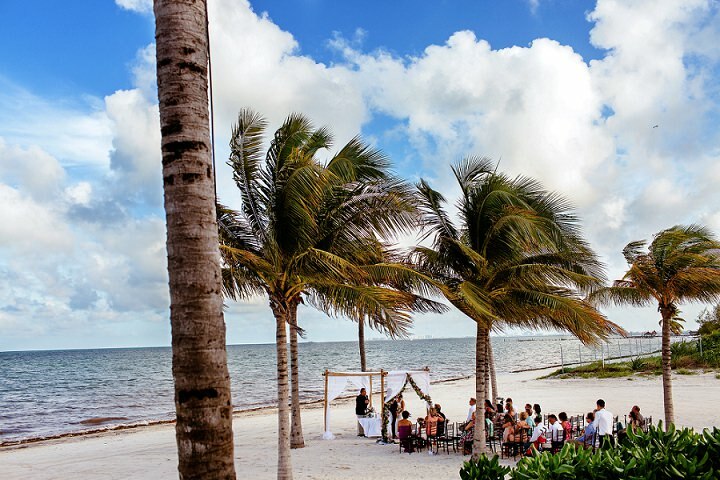 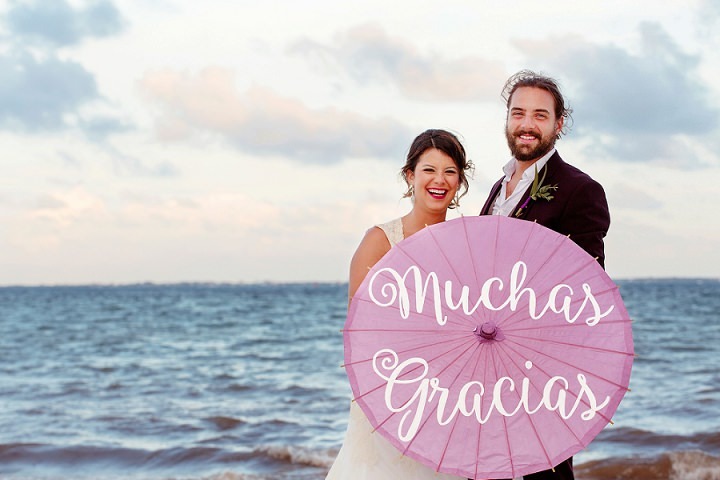 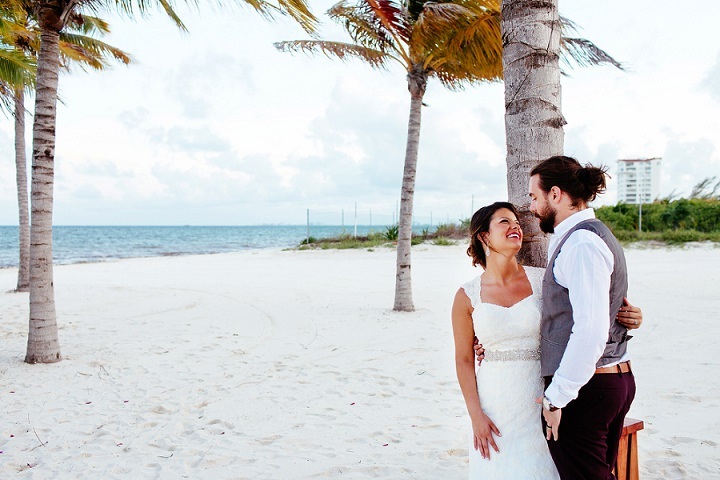 We are heading off to beauiful Cancun todfay for this wonderful beach wedding full of boho charm, so much laughter and the cutest bride and groom who just don’t stop smiling! 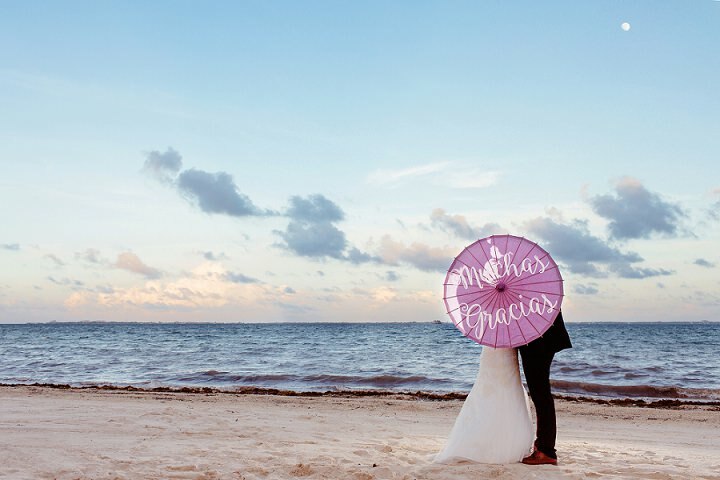 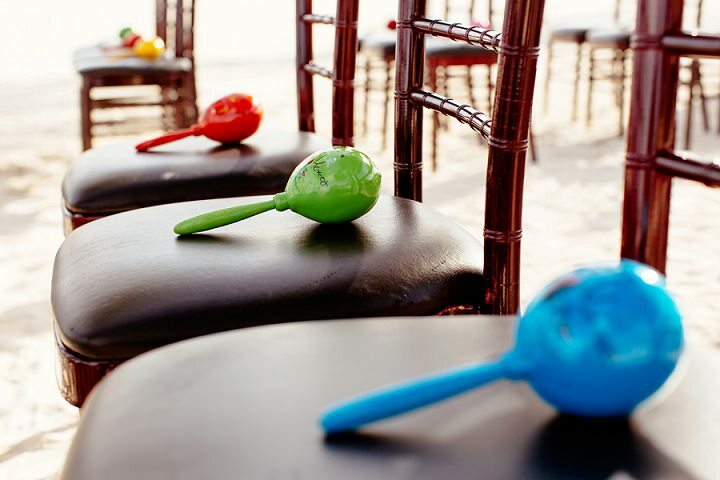 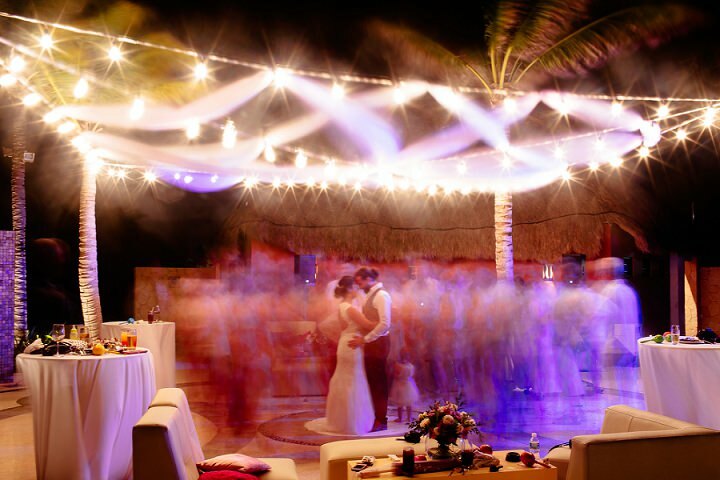 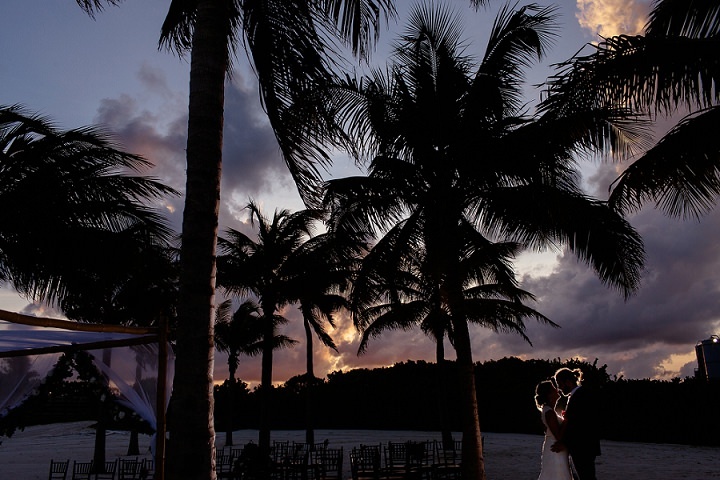 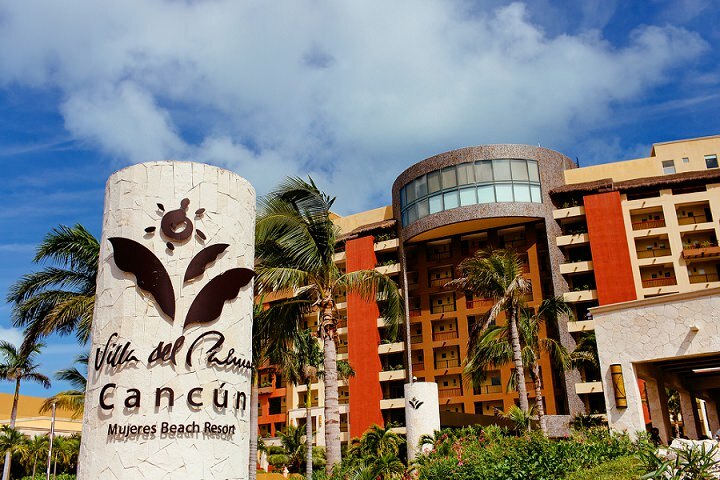 Bianca and Tony were married on the 24th of October at Villa del Palmar, Cancun, Mexico. 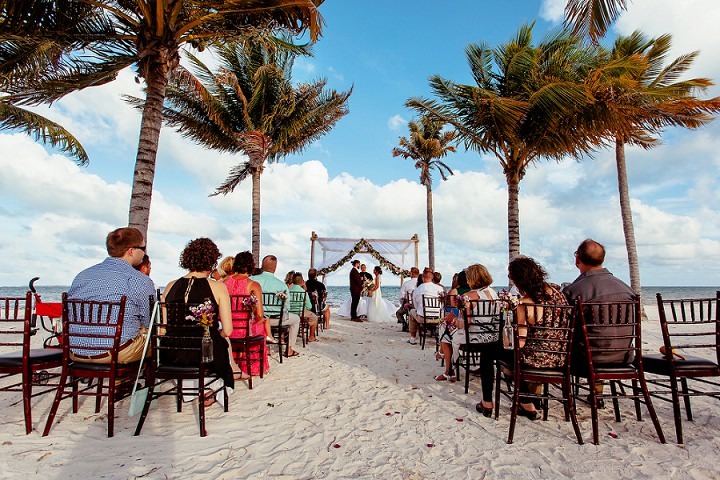 They had an intimate beach ceremony including a touching sand ceremony, and followed with gorgeous portraits and evening reception. 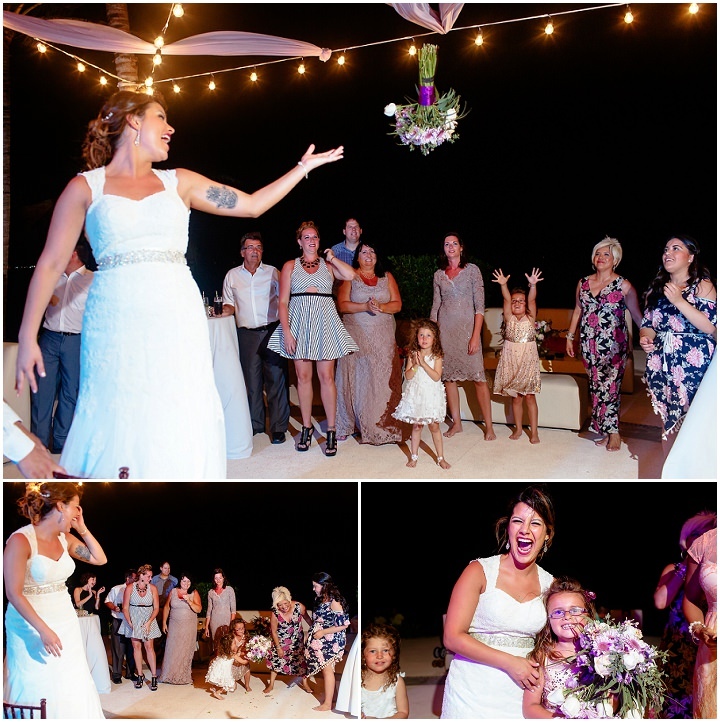 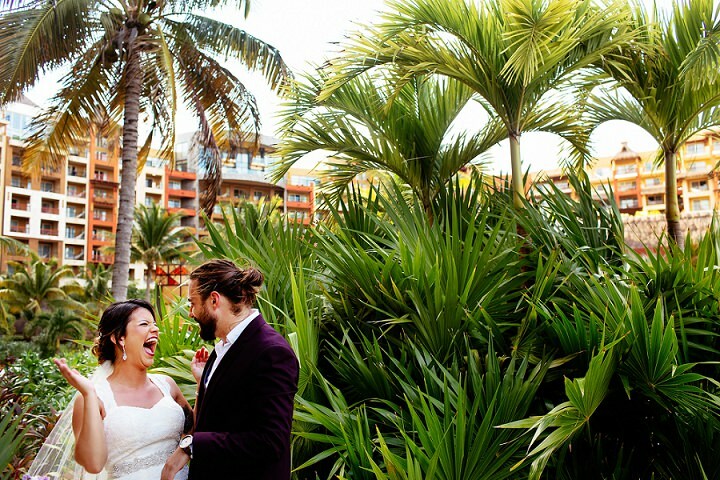 With a tropical vibe, gorgeous first look and an absolutely killer dancefloor the day looks like it was a blast! 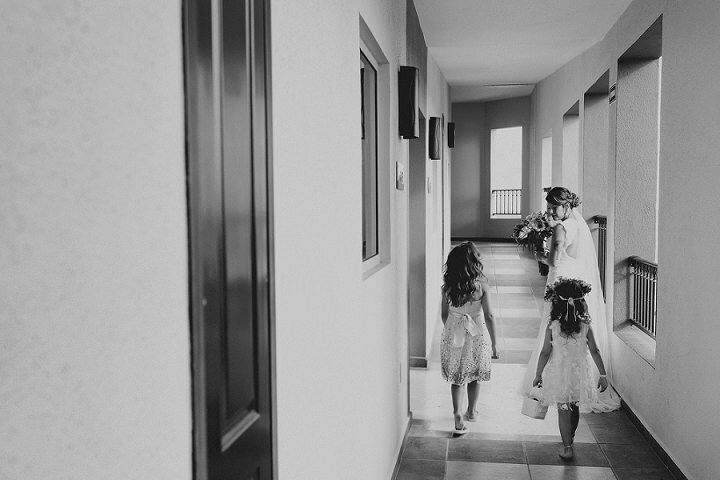 Big Thanks to Melissa Mercado Photography for the fab images. 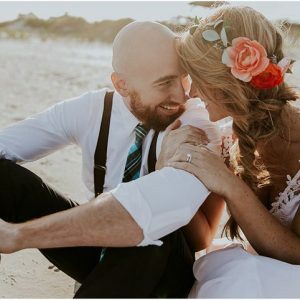 The entire day was absolute magic! 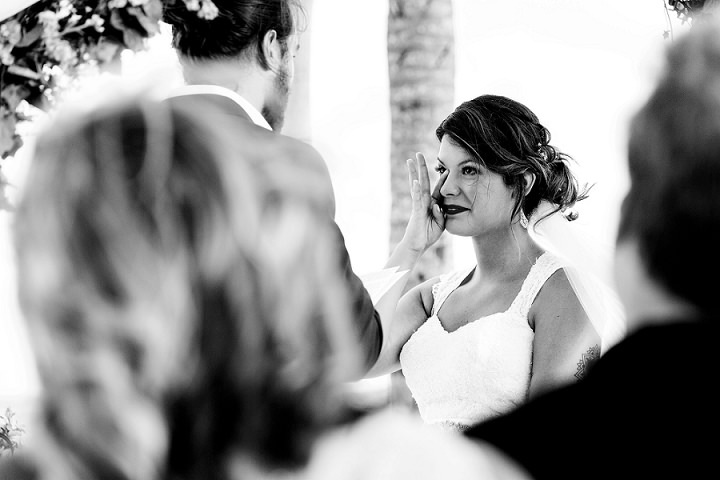 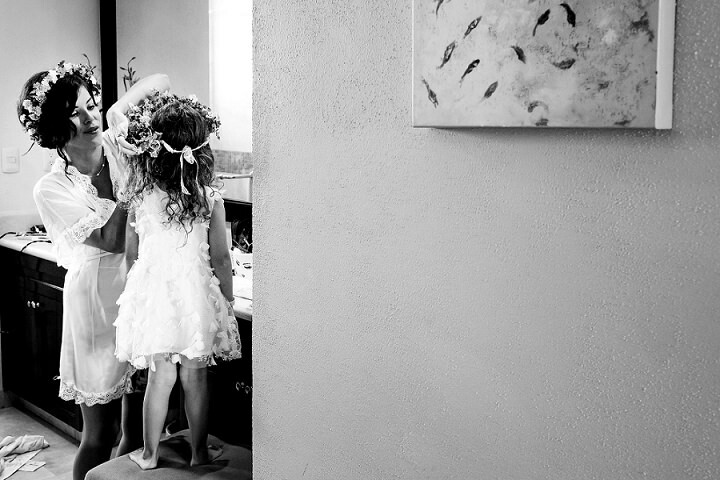 As a photographer, there are moments and people sometimes we can only dream of capturing. 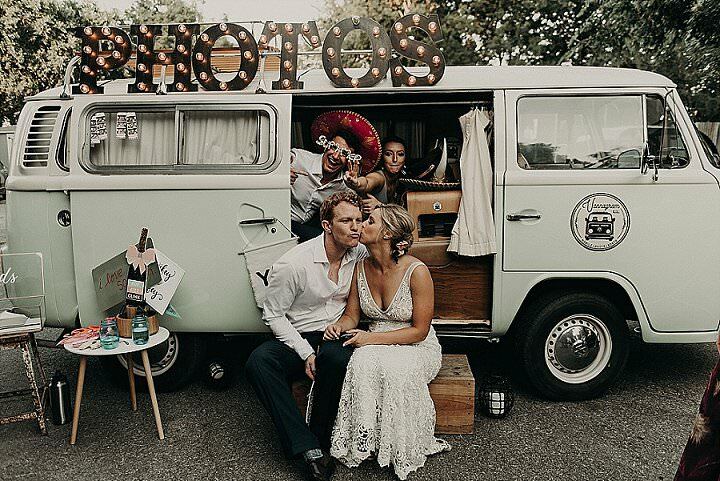 The perfect gorgeous setting with impeccable natural light and that beautiful couple both inside and out – a mix of honest, tender and genuine love. 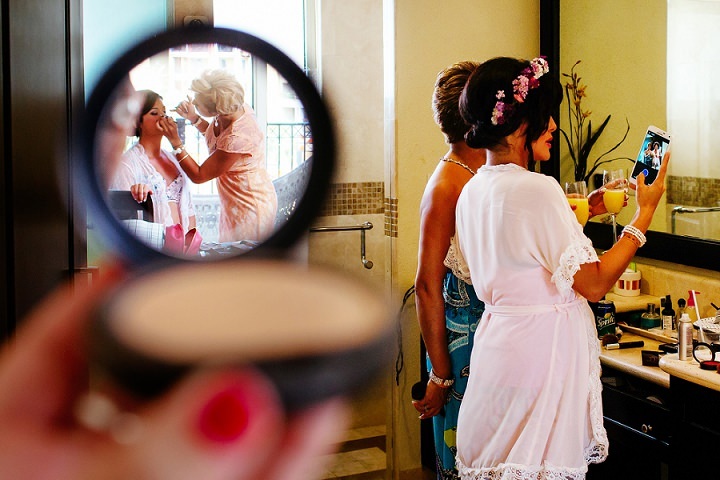 Bianca and Tony are those people. 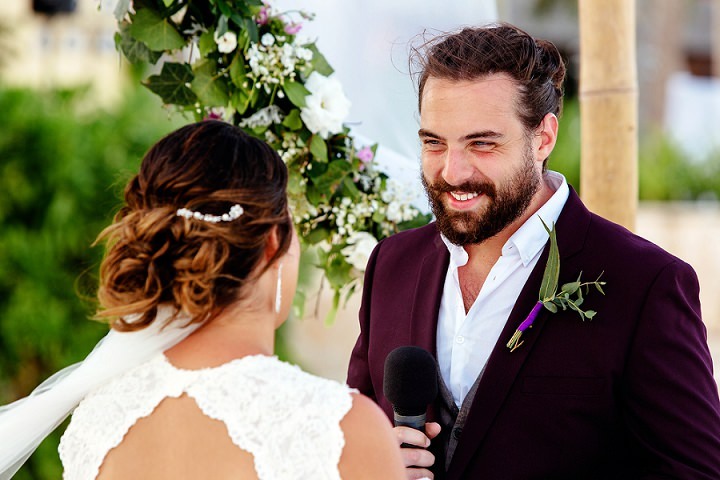 Bianca is a natural bohemian beauty while Tony is her wickedly handsome, charming and incredibly sweet other half. 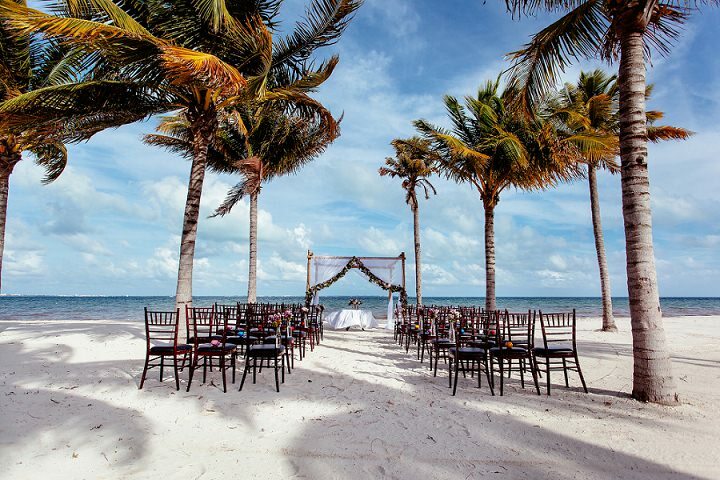 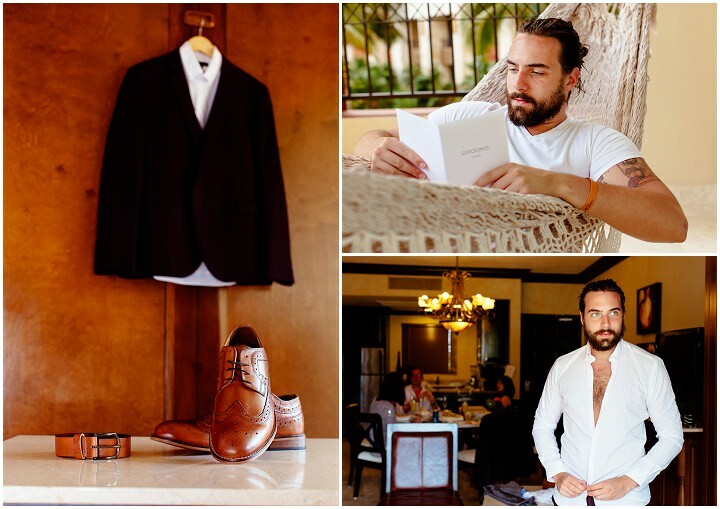 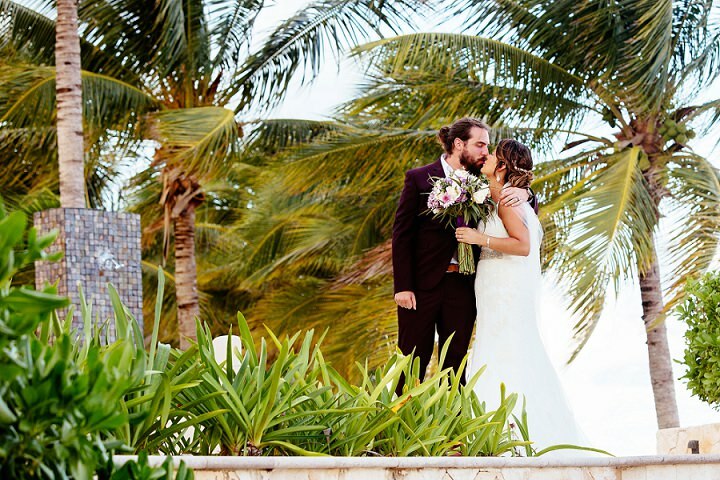 Together, the two ventured to the Mexican Yucatan to enjoy their dream destination wedding at the Villa Palmar in Cancun, Mexico. 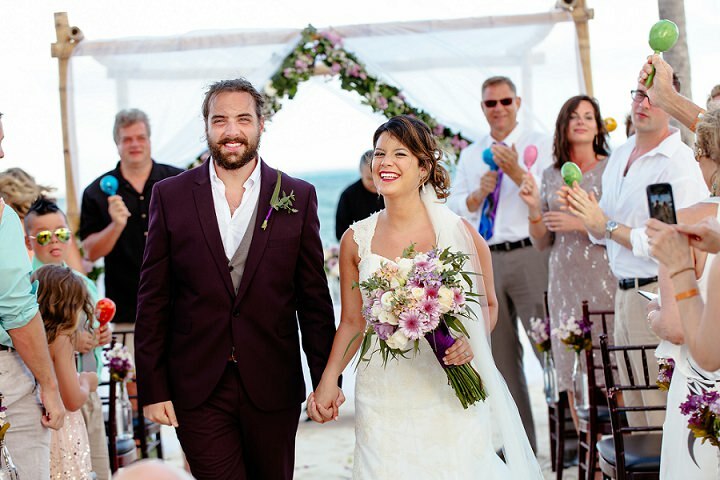 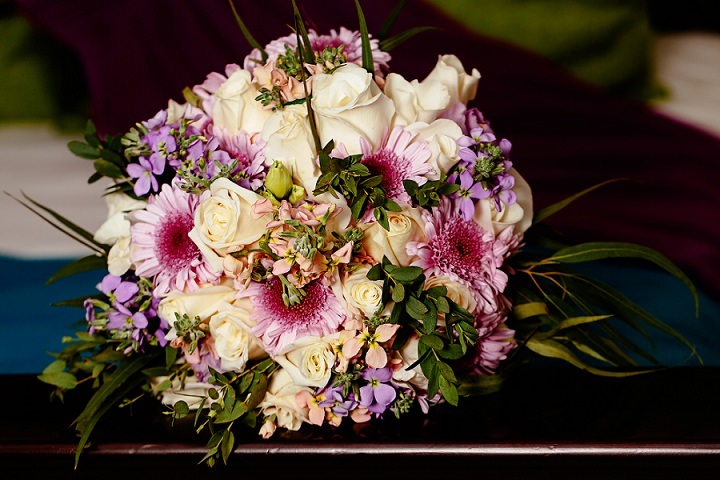 The theme for their wedding was a vintage “wildflower” theme with blush, plum and berries. 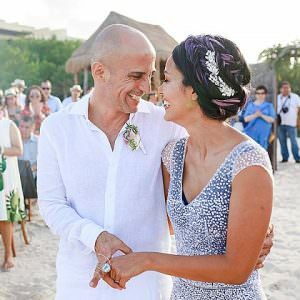 Bianca looked absolutely stunning in her white lace wedding gown with an delicate crystal-embellished belt and lace cap sleeves. 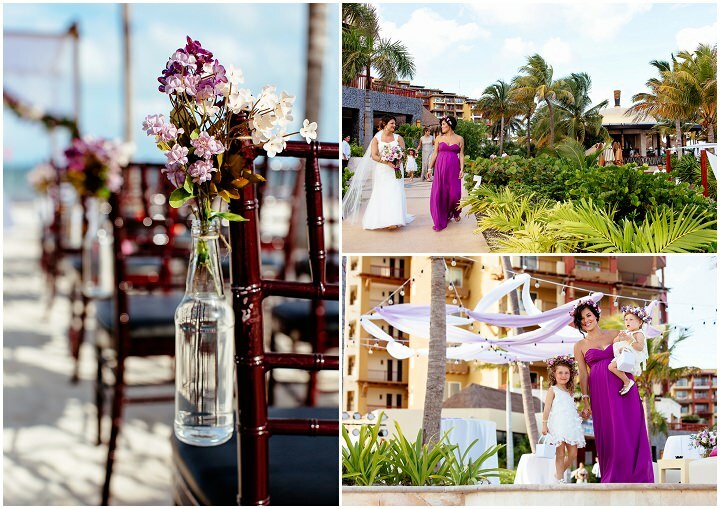 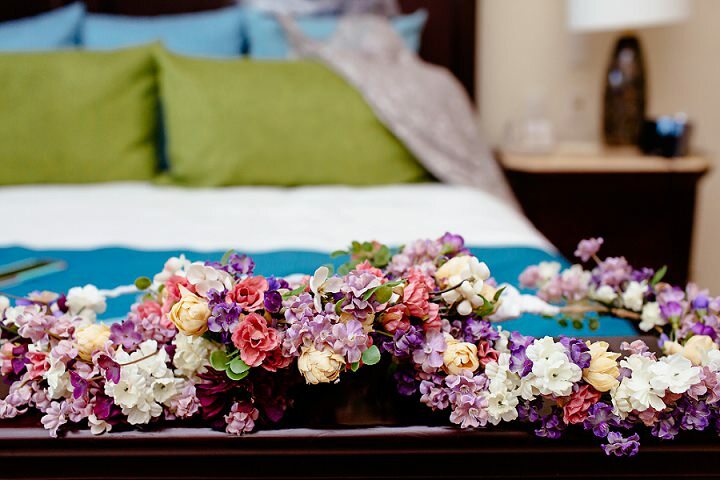 Her maid of honor wore a gorgeous floor-length fuchsia gown with a whimsical flower crown. 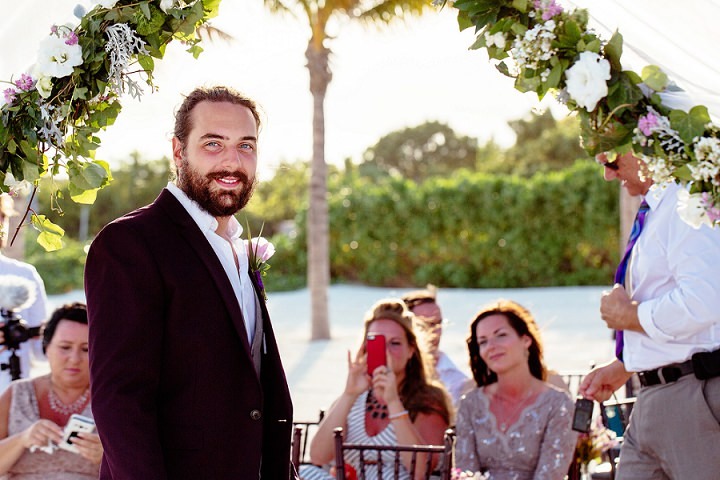 Tony looked just as handsome in a grey vest and dark maroon suit.Their intimate beach ceremony was held under an ethereal white canopy with bamboo poles and drapes of flowers. 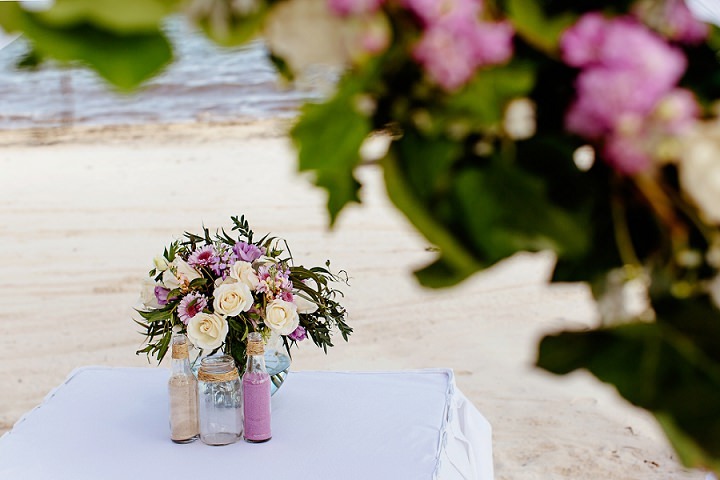 Wooden chairs tied with glass bottles filled with wildflowers awaited their guests. 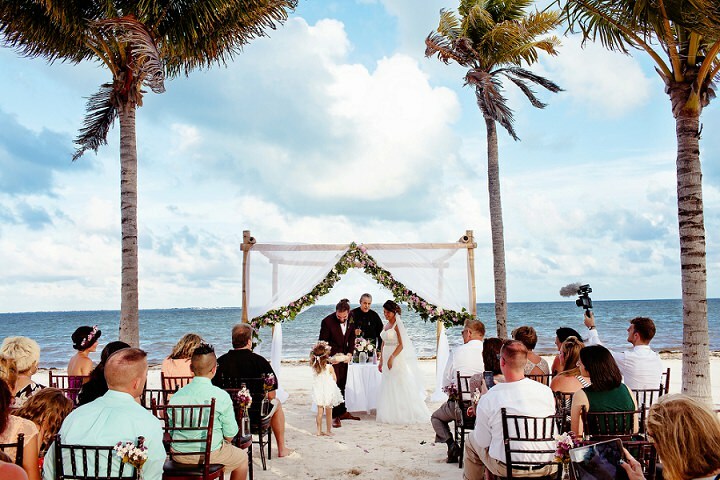 The two exchanged vows they wrote themselves followed by a “sand ceremony” uniting their lives into one. 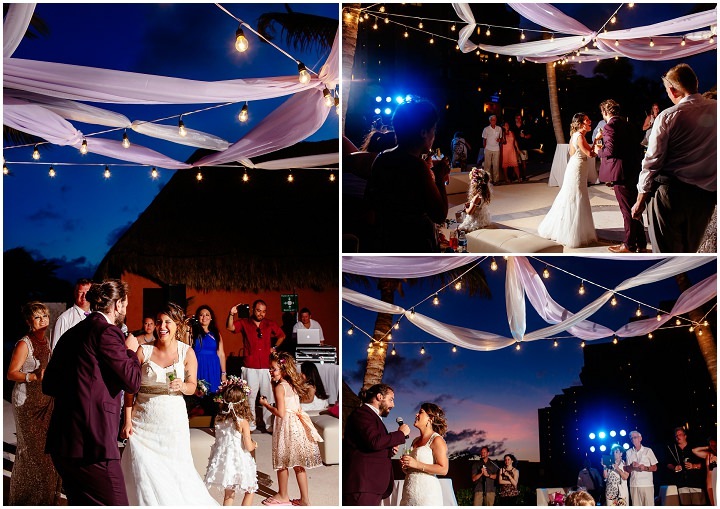 Following the ceremony, their vintage-inspired reception was completed with white and purple draped fabric and romantic string lights. 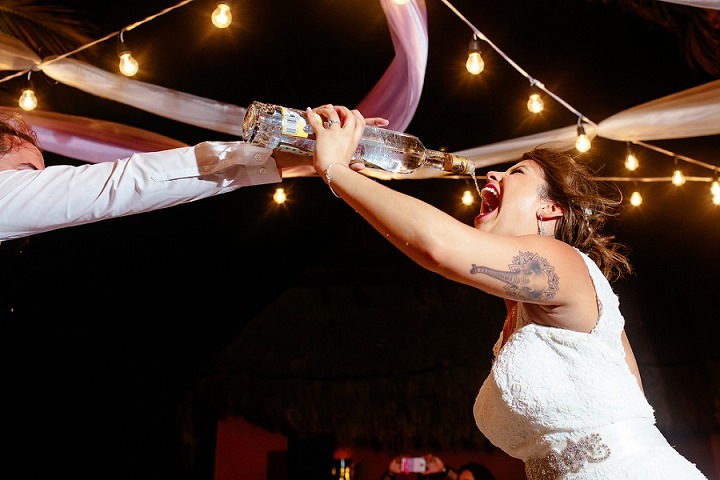 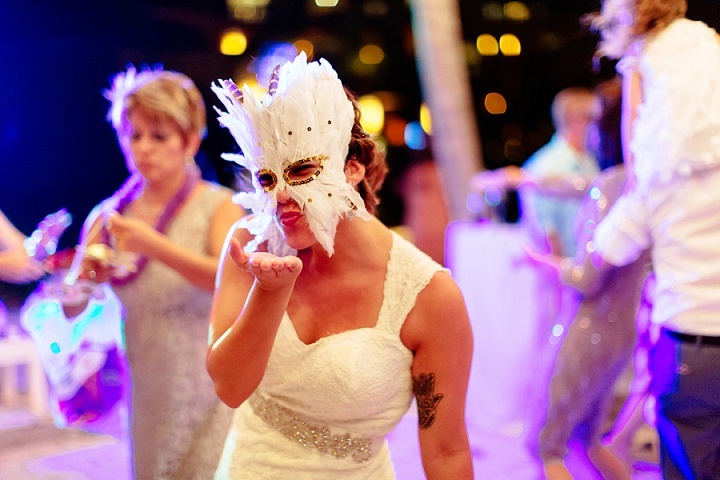 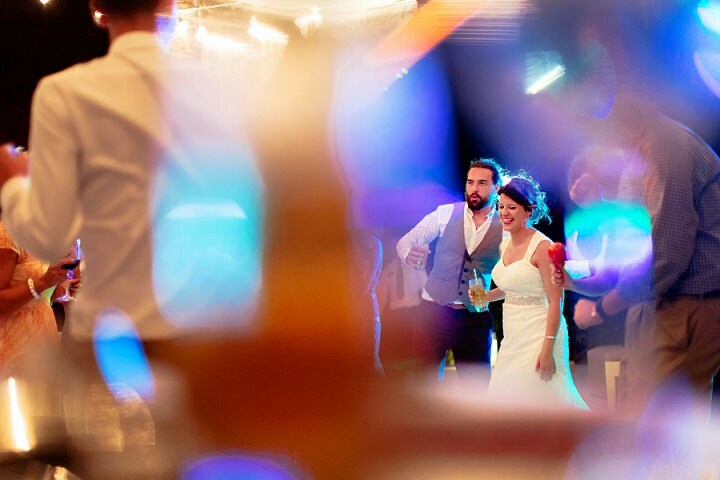 Their guests had the time of their lives dancing the night away with sparklers and an endless variety of party props. 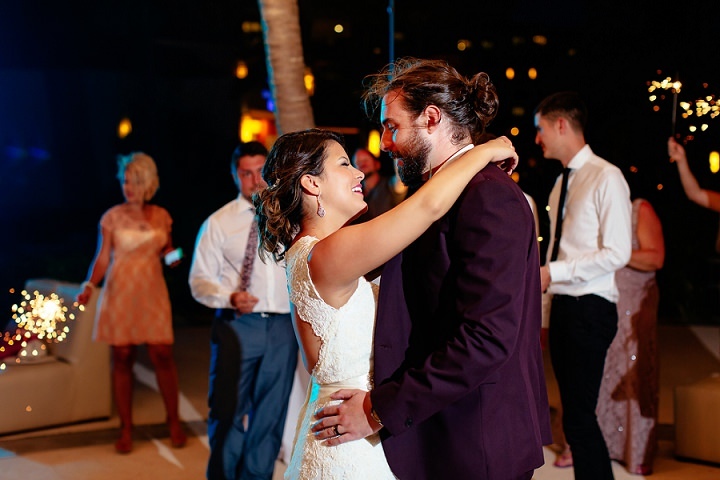 Simply put, the entire day was absolute magic!